Conformal predictors, introduced by Vovk et al. 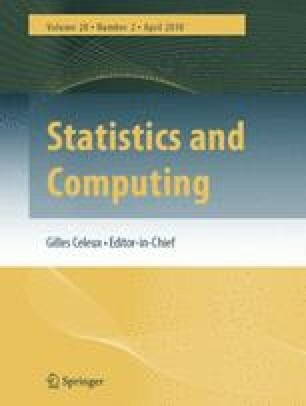 (Algorithmic Learning in a Random World, Springer, New York, 2005), serve to build prediction intervals by exploiting a notion of conformity of the new data point with previously observed data. We propose a novel method for constructing prediction intervals for the response variable in multivariate linear models. The main emphasis is on sparse linear models, where only few of the covariates have significant influence on the response variable even if the total number of covariates is very large. Our approach is based on combining the principle of conformal prediction with the ℓ 1 penalized least squares estimator (LASSO). The resulting confidence set depends on a parameter ε>0 and has a coverage probability larger than or equal to 1−ε. The numerical experiments reported in the paper show that the length of the confidence set is small. Furthermore, as a by-product of the proposed approach, we provide a data-driven procedure for choosing the LASSO penalty. The selection power of the method is illustrated on simulated and real data.